Note: The Cave requires an iPhone 4S/iPod Touch 5/iPad 2/iPad Mini or above. Descend into the mysterious depths of The Cave in this adventure game from Monkey Island creator Ron Gilbert and Double Fine Productions. Assemble a team of unlikely adventurers – each with their own unique personalities and stories– and descend into the heart of a sprawling, sentient cave in order to find that which is most important to each of them. The Cave has had millennia to spruce up the place so prepare to dive deep and solve the puzzles hidden within exotic locations including a subterranean amusement park, medieval castle, and fully armed nuclear research facility. The Cave is waiting. Choose a team of three out of seven explorers and descend into the depths of The Cave. From the Hillbilly to the Time Traveler, all 7 characters have their own unique personalities, special talents, and mysterious motivations for descending into The Cave. 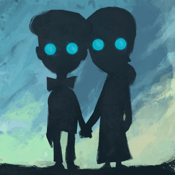 Experience the detailed, stunning art style and humor that only Double Fine and Ron Gilbert can dream up. Seamlessly switch between characters and work together to solve the puzzles held within The Cave’s depths. Every solution leads you closer to discovering the truth behind each character. The secrets of The Cave are at the touch of your fingers. New touch screen controls enhance your experience on iOS.